“If you want to know if a guy is well dressed, look down.” So said US columnist George Frazier back in the 1950s, and his words have never been more true. 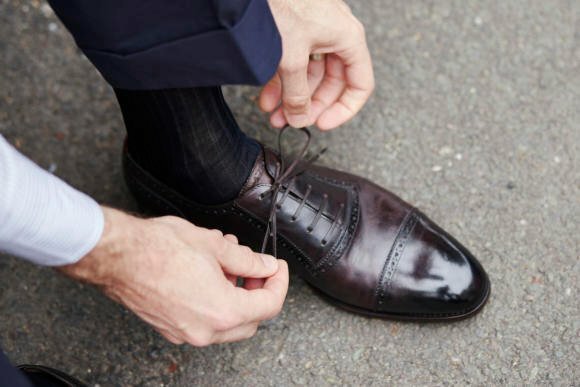 Men who spend too little on their shoes end up with flimsy things that look old from the first day they’re worn. But it’s not always easy to identify top craftsmanship. The most important things in a shoe are the quality of the leather and the way the sole is attached. Superior leather moulds to the foot, lasts a lot longer and looks great in the meantime. But it is becoming more expensive, particularly as a lot of the good calf leather is bought up by makers of luxury handbags. The best way to assess it is to bend the shoe just below the laces, where the foot flexes, and look at how it creases. 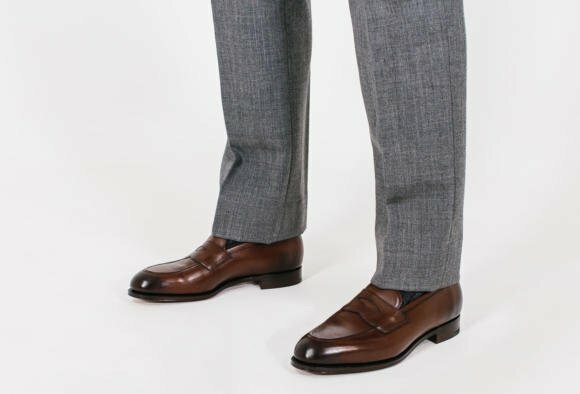 High-end English shoes in particular will always have this suppleness, such as Crockett’s handgrade line or those by Edward Green or Gaziano & Girling. The sole of a shoe is a bit more complicated. There are broadly three ways of attaching it: Goodyear welting, where a strip of leather is attached to the upper, and the sole sewn onto that; Blake stitching, where the sole is sewn directly onto the upper; and cementing, which is a fancy term for gluing. Traditional English shoes are Goodyear welted. This is a slightly heavier construction, but longer lasting. Most Italian shoes are Blake-stitched, because it is lighter and can be cut very close to the upper, so the sole is hardly visible. You can see the slimline effect of Blake stitching most clearly on shoes by brands like Berluti. Cheaply made shoes – and slippers or light summer shoes – are cemented. The choice between Goodyear and Blake is a personal one, but for an everyday shoe, I’d recommend starting with the former. There are also several highly respected American makers of Goodyear shoes, such as Alden, and a few in Europe, a favourite being Corthay. The marque’s classic Arca style is a fine place to start, and comes in a range of colours from black to patent red. The other advantage of English shoes is that price is still a pretty reliable guide to quality – unlike many European brands. Many English makers are located around Northampton, use roughly the same techniques and spend relatively little on branding. The outliers are John Lobb (owned by Hermès) and Church’s (owned by Prada). 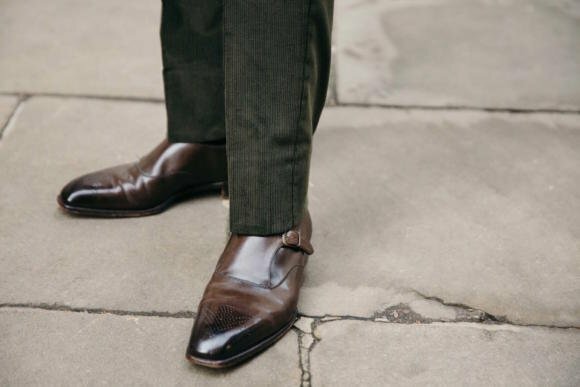 A more expensive English shoe generally means better materials and more handwork; in other geographies it could mean a lot of ornamentation or a bigger marketing budget. You can follow the discussion on How to buy quality shoes by entering your email address in the box below. You will then receive an email every time a new comment is added. These will also contain a link to a page where you can stop the alerts, and remove all of your related data from the site. I currently have two pairs of Church’s shoes and am contemplating another pair of ‘better’ shoes as an anniversary present. 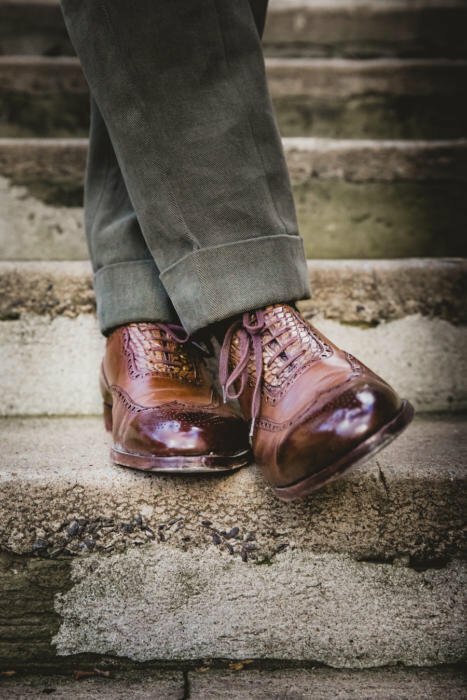 My wife would also like a quality pair of shoes but most of the better manufacturers appear to have limited ranges….except Grenson who has an extremely extensive range! 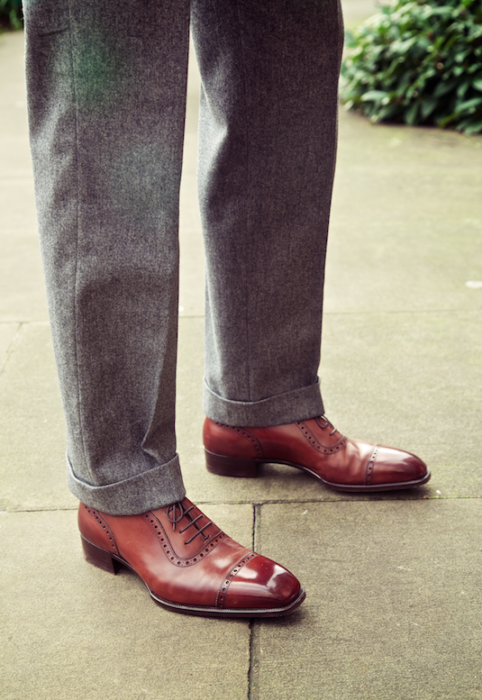 I have read mixed reviews of Grenson, though some are quite old and may therefore be very out of date. I have also read your comments on the company which suggests this may be a good place to go. Do you know of any other companies who have extensive ladies ranges (my wife currently has two pairs of Clarks ‘brogues’ which she is very pleased with, but would like to step up) or is Grenson the place to start. Thank you very much, we’ll have a look. I have a pair of brown oxford cap-toe leather shoes with leather soles. I believe the soles are becoming quite worn down, so I think it’s time they be replaced. In the past, when I have purchased boots with leather soles, I have replaced the leather with a dainite or rubber sole for more durability in poor weather. My question is this: is there any advantage to having a leather sole on a dress shoe? Is it worth replacing the soles of my dress shoes with leather again (over, say, dainite or rubber)? I don’t know if leather soles are more for aesthetics and/or comfort than anything else…? May I ask the name of the shoes that are shown in the photo above the article? I think they look quite stunning. Simon, if Maxwell means the first picture right at the top then I believe these are your bespoke G&G’s before they were repatinated. Do you mean the standard C&J line doesn’t and uses cheaper leather?